Organizing the Allston science complex  has been protracted, but scheduling undergraduate classes on both sides of the Charles once the School of Engineering and Applies Sciences (SEAS) complex opens may prove harder. The shortest pedestrian route runs 1.5 miles from the science facilities in the North Yard to the future Allston classrooms and labs. Given the logistical difficulties of crossing Soldiers Field Road on the lone footbridge (which is not accessible to people with disabilities), and the traffic-choked vehicular link from John F. Kennedy Street to North Harvard Street (which lies between Harvard Business School and the athletic facilities), it is no surprise that the Allston planners’ Class Scheduling Task Force has been at work since 2012 . Its co-chair, dean of undergraduate education Jay M. Harris, reported to the Faculty of Arts and Sciences (FAS) in April. He outlined solutions that would standardize class lengths in 75-minute chunks (which could be combined for seminars, studios, labs, and so on); expand the pass time between classes from five minutes to 15; and stagger starting times for the first class each day, so that Cambridge courses might begin 30 or 45 minutes earlier than those in Allston—creating, with the pass times, 45- to 75-minute transit times between the classes on the other side of the river. As the faculty mulls these possibilities, Harris also raised multiple other scheduling issues. Most formal instruction has been jammed into the prime hours from 10:00 a.m. to 2:00 p.m. and largely from Monday to Thursday, imposing conflicts that limit many students’ course options. Standardizing class lengths and starting times, building in periods for seminars and other extended instruction, and decompressing the midday clustering of courses—perhaps even truncating the beloved three-day weekend—hold the promise of maximizing students’ educational choices; accommodating professors’ needs; and relieving conflicts over access to suitable teaching spaces. Whether the faculty as a whole will accept the changes necessary to effect such improvements is uncertain (as is students’ willingness to acknowledge, as Harris put it, that “the adult day doesn’t begin at noon”). But Harris said FAS would ideally consider a formal legislative proposal and accompanying rules this fall—along with airing of norms, culture, and other issues important for effective implementation. If enacted during the 2016-2017 academic year, the registrar’s office could begin reprogramming its information systems, redrafting the faculty and student handbooks, making room assignments, and so on. Then, during the 2018 spring semester, professors would schedule their 2018-2019 classes, effective with that year’s fall term (when the new undergraduate General Education requirements are also likely to take effect—yet another significant challenge). 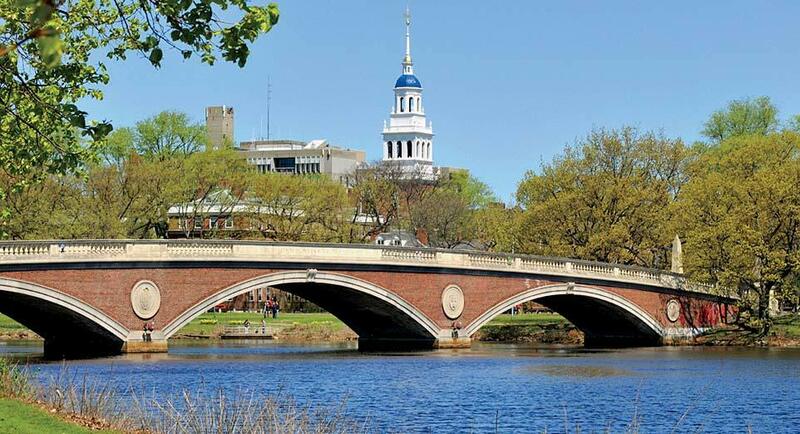 That would be a sufficient runway, Harris thought, to test and adjust the system before engineering and applied sciences classes begin in Allston in 2020. Amusing though all this may sound, it is educationally consequential. More rational scheduling enables students to assemble desired courses of study. And making the trans-Charles logistics work as SEAS brings 17 classrooms on line, and accommodates burgeoning cohorts of concentrators, is essential if the College—in keeping with its fundamental value of providing an undergraduate education in the liberal arts—is not to separate engineers from other students. For a full discussion of these issues, including the minute, but meaningful, details of the scheduling proposals, see harvardmag.com/allstonclasses- 16 .